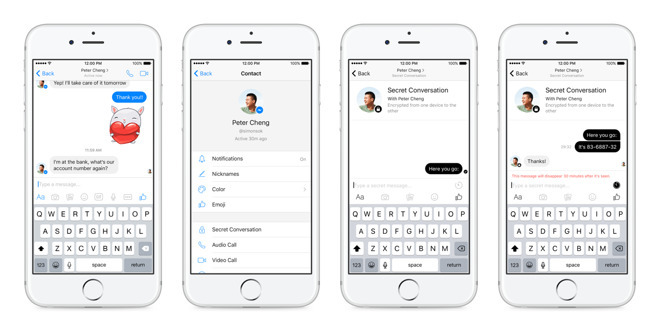 Some people using Facebook Messenger on iOS devices are finding themselves unable to type more than a few words in a single line before the app freezes, according to reports. There appears to be no stopgap solution for affected people, as closing and reopening the app makes no difference, and even deleting and reinstalling may do nothing, TechCrunch observed on Thursday. Users encountering the bug are therefore having to spread sentences across several lines or switch to another messaging platform. Facebook is reportedly investigating the glitch, but has no other information to offer at the moment. Any such bug is critical not just for Facebook but for the general public, since Messenger has over 1 billion users, many of whom are on iPhones or iPads and/or may depend on it for daily communication. Facebook recently promised to pare down the the Messenger app. Over the years the app has become increasingly cluttered because of features such as bots, audio and video calls, and even the ability to play simple games.